"Superhero Yoga" art print by Rob Ozborne. 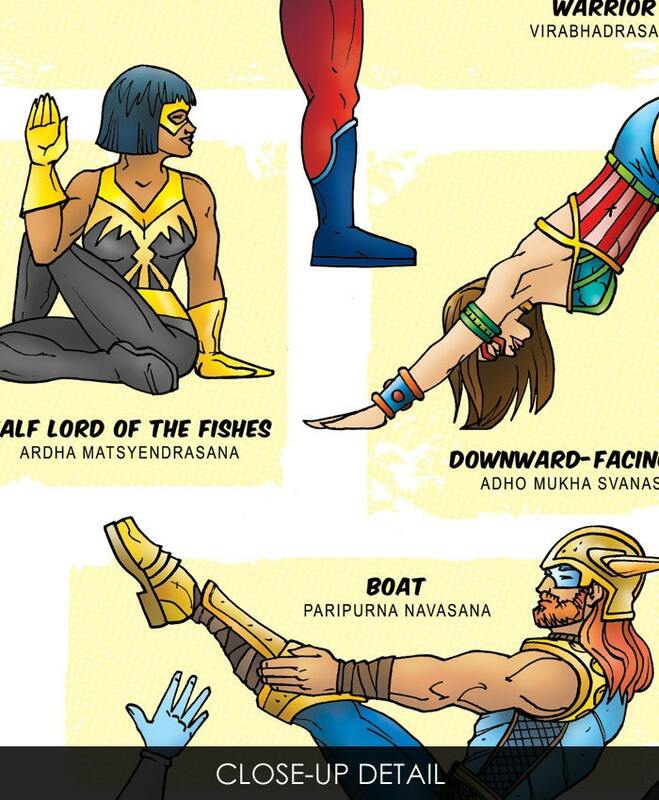 THE STORY: Wear your tights and mask, it's superhero yoga time! THE ARTIST: Designed and drawn by artist Rob Ozborne, each print is hand-signed. THE PRINT: The artwork is printed on gorgeous 11"x17" (279mm x 432mm) archival fine art paper. The paper is a nice, thick stock. The colors are lush. The frame is not included, but the ready-to-hang artwork is perfect for framing. HANDMADE: These prints are never ordered en masse. Each print is produced in the studio, and every print is hand-signed by the artist. SHIPPING & HANDLING: Great care is taken in preparing your print. Gently rolled and well packed, your artwork ships in a sturdy tube.